Over the years growing up, I as many of us do I've slowly acquired certain tastes and dislikes. I have actually determined a certain set of requirements for my next home (hopefully the one I plan to grow old in). More specifically the one that applies to this review is a natural fireplace. This of course poses a major issue if we decide to move in the next few years as the one in our home now is a constant problem when it comes to my boys. With having young children a fireplace can become more of a hazard than a beauty. Dane and especially Declan are always jumping around, about, and on the fireplace resulting in several cuts and bruises - thankfully no hospital trips just yet! We have always ghetto rigged the fireplace with foam of all kinds and it's honestly never stayed put. Also lets be honest it was more of an eyesore than anything but what else were we going to do? It's not like there were too many other solutions out there that worked any better. Then a few weeks ago I cam across a solution I wish I had known about years ago!! Jamboo Creations was started by parents looking for the same solution to this normal problem encountered by tons of new parents! In case you were wondering "Jamboo is an acronym derived from combining the initials of our son, Jack Allen Maguire, who we affectionately call Boo." Hearthsoft is the amazing creation made by these parents which is a protective AND comfortable cover for your fireplace. "Each HearthSoft™ is individually cut and professionally sewn in our very own workroom in Atlanta, GA. Our goal is to make quality products that are truly unique in design and function for children in the home." These are unlike anything I've seen before and I could not be happier I discovered Jamboo Creations. Thankfully they agreed to send me over one of their Heathsofts to review. 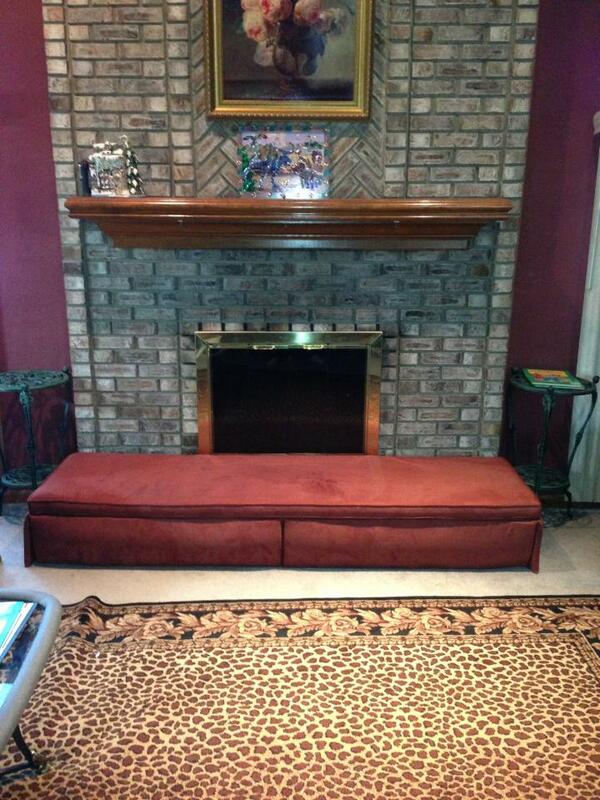 These are all custom made to fit any size fireplace and currently come in 28 different colors and fabrics. I cannot begin to tell you how much I love my Hearthsoft. Not only does this add a bit of flare to my living room but it creates even more seating area for when we have our large (and frequent) get togethers. As you can see from my pictures the boys absolutely love that they can jump on the Fireplace now without us yelling at them to stay away or without fear of hurting themselves. Every single person who has sat on this has said they could not tell (if they didn't already know) that there was a brick fireplace hearth underneath. This is super fluffy and definitely couch comfy so you don't have to feel like you are sitting on a rough surface. Besides sitting you can also tell its comfortable enough to pass out on (haha) as the picture below is my sister after a long but typical family Easter (kind of staged). Recommendation: I don't know that I could say a single bad thing about this company or product! This is a quality made product sure to last a lifetime and more. I have already told my husband as well as everyone I know that I will not live in another home without a Hearthsoft as part of my decor! I know it may seem expensive but this really is reasonably priced for this type of quality and solution in my opinion not to mention it will last you a lifetime (or so I am pretty sure it will)! This is definitely something we will be removing and taking with us to the next house! Giveaway: Jamboo Creations is going to give one of A Lucky Ladybug's lucky readers a Hearthsoft of their own! I don't have kids, but this still seems like a fantastic product just to create extra seating without taking up any more room. I never seem to have enough places for guests to sit and think this would be great. I am loving this product, I wish it was around when my children were small. I could still definitely use this as extra seating in our home or for a great afternoon nap! HearthSoft this is a very great idea, wish I had it when my kids were younger as I had numerous times they would trip and fall and scarp knees or the time one fell and hit his head and got a real noggin hit, but he did find. But moma did not as I was constantly in fear that one would get hurt badly.. BUt God was watching and none did. These would be great for extra sitting area when alot of company also. These look so comfortable and one would look so good in my family room. My fingers are crossed for this win, because my family would feel truly blessed to win this. This is a terrific product. Our family gets together often but we never have enough sitting for everyone and this would be a wonderful addition to the family room. I like the review, very thorough and concise. I would love this. 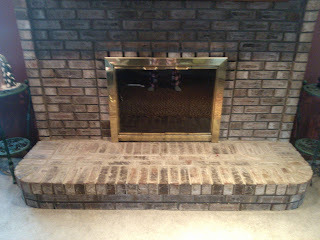 I never use my fireplace but it is there and the kids love to stand there and dance around and seem to get hurt alot. When we have family gatherings, family sit on it with cushions or towels. This would work great! LOL That would be me, passed out with an empty bottle of wine. Love how it adds to the living room! I love this product! We have two fireplaces and I'd LOVE to have one of these to add extra seating in one of the two rooms! We have two fireplaces and I'd LOVE one of these to add more seating to one of the two rooms. Very cool idea! Ha ha. I have 2 of those that love to jump on furniture. You picked a great color. It looks really comfy and the bottom picture of the lady drunk on the couch is funny.love the sense of humor. I have 3 that do the same thing. Those look sturdy enough to handle it though. I find this a wonderful product that will add seating to my family room not only for kids but for family/friends that visit and we often do not have places for them to seat. I love the colors too. Looks great in that room and looks super comfy! I have a fireplace that is just begging for one of these! Love the chestnut faux suede hearthsoft. Just moved & this would look awesome in my rec. We have a fireplace that has caused one too many bumps, scrapes, and bruises... I just might have to look into this! 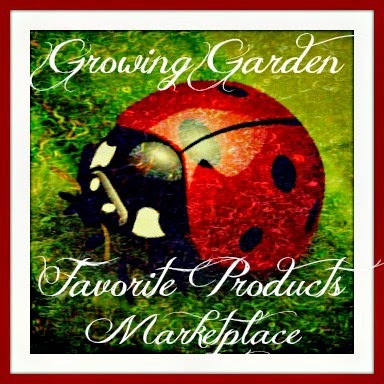 I can't believe I have never heard of this company or product! My fiance and I will be building a house and it WILL have a fireplace. My concern is our five children that are very bouncy and energetic with a little klutzy thrown in. I like the fact that it comes in different colors also so that 10 years down the road when I decide I want to change colors/ layout of the living room area, I can find a Hearthsoft product in a color to fit my needs. I also saw they have throw pillows to match!! How awesome! I love the idea of all of these and wish they were around when my kids were small. I hope I get a chance to try one of these out and will write a review. It really adds to the room. My mom needs one of these. It looks so comfortable. I can't wait to build our home and have a fireplace!! 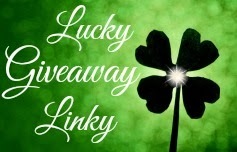 I just discovered your page today through a giveaway. I love the looks of your page! The fireplace is great! I wish I had one in my home. I really like the way it looks. We don't have room for one of these in our tiny apartment, but my mom would love it. This is an interesting idea, but being married to a fire fighter, I wonder how prudent it is to have fabric so close to a fireplace? Even if it is fire retardent I would worry about the dust from the fireplace and ashes making it look dirty. What a terrific idea! I wish this was around 20 yrs ago. What an awesome idea! If I have a fireplace again in a future home, I would love this. Great idea for kids and grandkids. This is great my hearth is curved wonder if they make one to fit it. What a nice idea for extra comfy seating. Would love to have one. I also wish this was around when my kids were little. I was constantly telling them not to play near the fireplace. 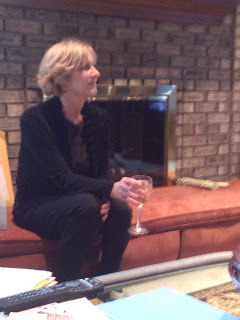 Love the of you with the wine! This is a great idea. My son hit his head on our hearth when he was young. This would have been a lifesaver for us. I just heard about these through a couple contests. I think they are very handy. I like the colors also. Although I don't have a fireplace it would look very nice under a window as a window seat. What a great idea. I had never heard of this before. Wished I had known about it years ago when my kids were little. Now we live in a home with no fireplace but my next home [hoping to move in a few years ]I hope will have a fireplace. This looks so comfortable, but I don't have any where to put it. I love your review and thank you. Wish I had a fireplace and I could put this in front of it - unfortunately I do not but I will use it for extra seating. This is such a good idea! When your a parent you are always rigging something with anything to make it safe for the kids. Its nice to know that they have created a covering for the fireplace that makes one less thing that we have to "rig"
I have just recently been seeing these, they look so comfy. It makes me wish I had known about this when I lived in my last home because we had a beautiful fireplace with hearth. Sure would have made things more comfy. Just yesterday my sister's 1 year old son got hurt playing on their fireplace. And, when I go visit them I'm always worried when my 1 year old daughter plays around it. She's very cautious with everything she does but you never know! This would be perfect for her house. I don't have a fireplace or a house yet but if we end up getting one this would be a lovely product to get. I can see how it would be awesome to have for company or just for aesthetic pleasure. 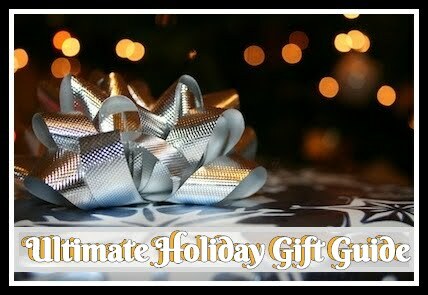 I also think this would make a wonderful gift for someone that is unique as I have never seen anyone with a product like this before. Thanks for the review! i am finding so many things on these wonderful blogs i wish i would have found them mouths ago! I love the look, elegant and classy but user friendly. It would be wonderful to win this. I love that they offer a chenille fabric option, I would pick the sand color. I like the idea of dual functionality in items I purchase for the home. I like that it's a great way to soften the edges of a firpleace for children and I also like that it doubles as attractive extra seating for guests. I don't have any little ones, but if I did and if I had a raised hearth this would be a great addition. Of course the main thing is the safety, but I also love that it creates soft seating! This looks comfy. I wish I had a fireplace in our home now and I would just in case probally have a washable cover on it. This is an excellent idea to add extra seating to an area without compromising space. I love that this can be custom made to fit your fireplace. It is a beautiful piece of furniture that would add beauty to your room. I love this idea ~ it is decorative and looks pretty comfortable as well. The safety issue is of course first! I wish I had enough room in my house to fit one of these in my house.I probally would not have kids on it! My fingers and toes and still crossed and I am glad to comment on this great post. You describe the product fully and clearly and it makes me want to win it. This is awesome! I like that it isn't just the ugly foam like most protective bumpers. Very cool! This looks like a product that parents and grandparents would love to get as a gift! Safety first! Don't have a fireplace but this looks like an excellent product for people who do. I like the look of a fireplace in a living room, or den; but I do not like actually using it as such. I no longer have children at home, nor even young grandchildren to visit; but I do have company, and would love extra seating space. The pictures show this as an attractive product I would be pleased to have in my home. It's very nice to have the option of customizing your seating space to fit your needs. It is so hard to keep an eye on the little ones for every second. This would be a great safety addition to any home. I cannot tell if my last comment was published ~ just to verify that this is a great safety idea for any home. I wish I would have had this when my kids were young. 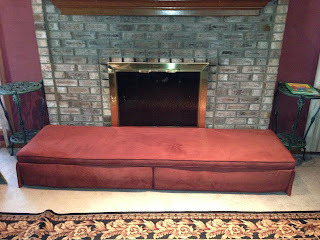 We also covered our fireplace with blankets, etc to protect little ones from getting hurt on the sharp edges and bricks. This looks so much better and also provides a great seating area! I love how this adds such a nice design to the fireplace. To have it be safe for children and pets is great! With my toddler son being a little daredevil, this would come in handy if we still had a fireplace. For some reason kids just love to jump on furniture and run around the house and this couch would prevent them from having an injuiry on the fireplace bricks. Besides it looking beautiful and provide extra seating it is a safety barrier. What a great idea! So much safer for kids. I like the idea of Hearth soft...rather than the tradition Hearth hard. I think it's a great idea to have something like this if you have small ones around. These are so nice! My grandkids love to play on my fireplace hearth and it worrys me that they will get hurt on the rough stone edges.I would love to have one of these it would give me extra seating too. I do agree with everyone else. The seating at the fireplace gives it a whole new look. Kinda like having an extra couch in the room, but not crowding the room with a big bulky couch. YEA! for great new ideas! I am not in the market at this time for one of these. However, if I ever have the need, I will certainly look to this company. This is going to be so greatly used! Hope I win. My toddlers really need it too. Form, Function and Beauty. Can't go wrong with that in any home. I think this is amazing... the safety features are incredible, but the extra seating really takes it over the top...when I first heard of a cover like this, I thought it would be cheap or tacky...but this looks like a custom made piece of furniture...and really gives the fireplace a chance to be even more of a focal point! What a great idea! This looks super comfy, and I like the idea of extra seating. I love that adults can sit comfortably and it is a great way to add seating when entertaining. Love the couch, hope I win it. I love this! I have a fire place and we have the exact same problem! babies are always climbing on it and anything we do to protect them is just ugly!!! The Hearth Soft by jamboo adds an interesting focal point in front of the fireplace. Kids only take the blink of an eye to get hurt under normal circumstances. It is great to be able to do something so nice and easy to see to their safety. It is important as parents to do all we can to see to the safety of our children. This is a wonderful product to do just that! I love that this is a great feature for your home that adds both decor and safety values! Great to hide the hearth from little ones jumping/tripping on it. doesn't even resemble a barrier. Looks more like a piece of furniture to the whole set-up. If I every get to have a home with this type of hearth, this will be a welcome addition! Thanks! Very nice to have extra seating as a plus feature of this Hearth Soft lounger. I would love this for the family room.It's stylish and looks comfy too. Thank you for this wonderful blog and info. I love this idea creates extra seating without taking up space.Form and function and safety all great. I really like the idea of a comfortable AND safe seat in from of the fire. No worries about the kids. I like the selection of coverings for this as well. 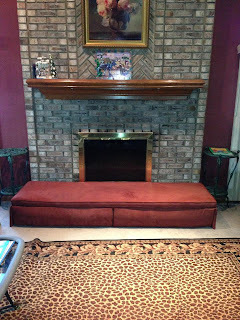 The idea for extra seating is fabulous and I love that it will add to the look of my family room. This is such a great idea. I wish this was available when my kids were young. pretty NEAT! I have three children I would love have one of those awesome! This would be great for my new house in the family room, i have three children and they would love this. this would be great for my new house in the family room i have 3 kids and they would love this. This kills 2 birds with 1 stone. Extra seating and corner protection. Beauty, form & function. A wonderful accent to any room. The hearthsoft looks so comfy,I could see the kids taking a nap on it.I also love the amazing array of colors and fabric! This should be a must-have for anyone with little ones around the house!